Medicare has issued reimbursement penalties to 751 hospitals for the 2018 fiscal year for their higher rates of infection and other preventable patient injuries, according to news reports. 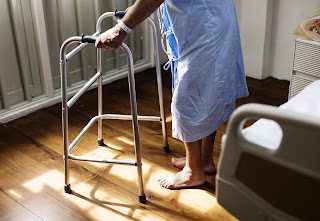 The penalties are tied to the latest results from the Centers for Medicare & Medicaid Services' (CMS) Hospital-Acquired Condition (HAC) Reduction Program, a Medicare pay-for-performance program that links Medicare payments to healthcare quality in the inpatient hospital setting. Included in the Affordable Care Act (ACA), the HAC Reduction Program requires the Secretary of Health and Human Services to adjust payments to hospitals that rank in the worst-performing 25% of all qualifying hospitals (more than 3,300) with respect to HAC quality measures. The payment reduction occurs when CMS pays hospital claims. A Kaiser Health News (KHN) analysis revealed that 425 of the penalized hospitals were also punished last year. One-third of all teaching hospitals were penalized this year, a decline from the nearly one-half penalized last year. As KHN notes, the program is controversial: "The hospital industry faults them as unfairly punishing hospitals that treat sicker patients and those that do a better job of identifying infections and other patient complications. Patient advocates say that, while not perfect, the penalties have been a valuable prod to make hospital executives consider more than the bottom line." A Modern Healthcare report noted that the American Hospital Association (AHA) has argued that the program's methodology fails to recognize improvement, quoting Nancy Foster, vice president for quality and patient safety policy at AHA, as saying, "The Congressional mandate that a quarter of hospitals should be penalized every year creates this odd situation in which more than half of the hospitals being penalized have the same or relatively the same performance as many of the hospitals who escaped penalty."